Colorful Living/Dining Room pairs blues, pinks, light green with natural whites to create a fun and vibrant coastal design. Coastal breezes flow through these spaces bringing the ocean air inside. 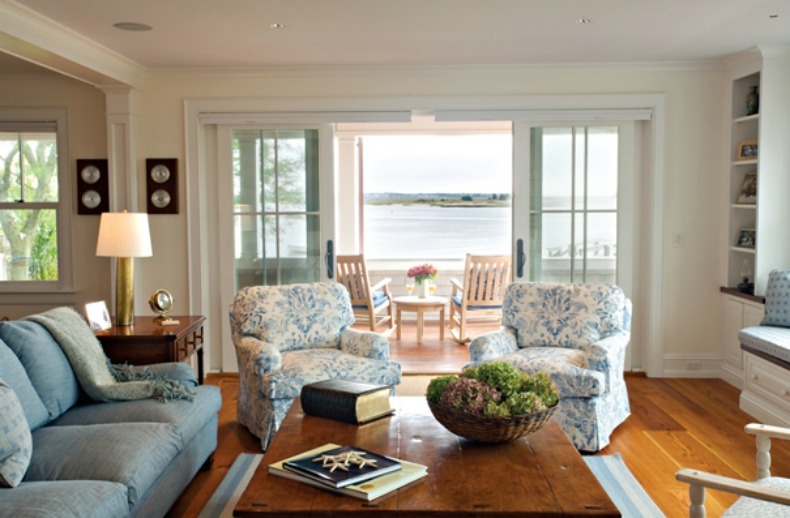 Soft blue and white print slipcover chairs and rich wood tones are coastal cottage bliss. 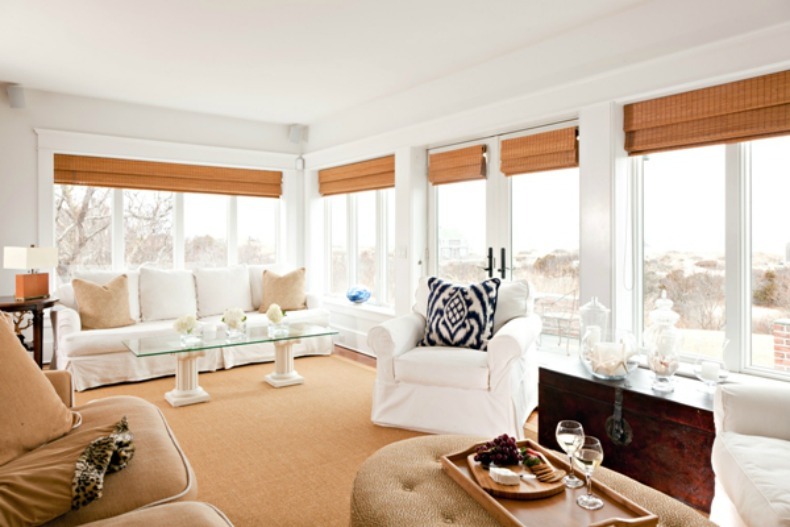 A more modern take on coastal decor with white slipcover sofa and chair, navy and white throw pillow and natural area rug anchoring the space. 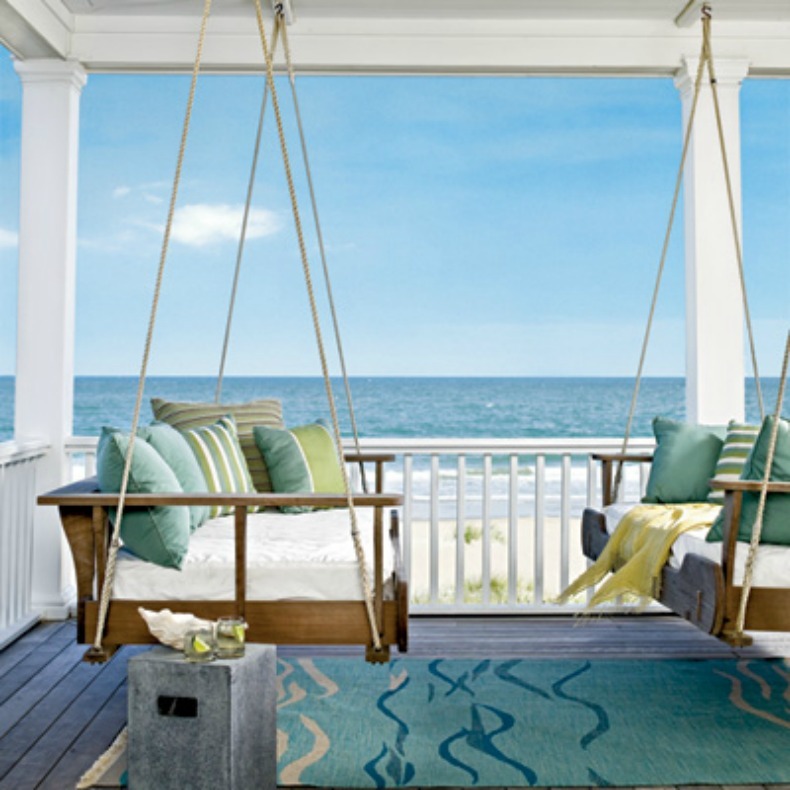 Wood hanging porch swings with aqua blue throw pillows blend in perfectly with the aqua blue waters. 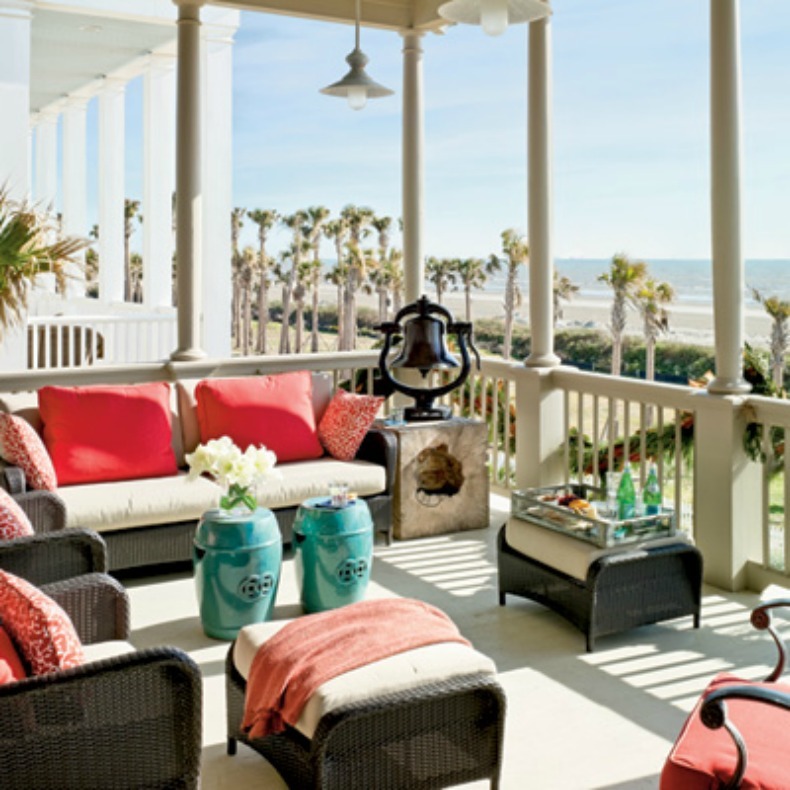 Dark woven wicker sofa and chairs give plenty of seating to enjoy this Texas coastal view.